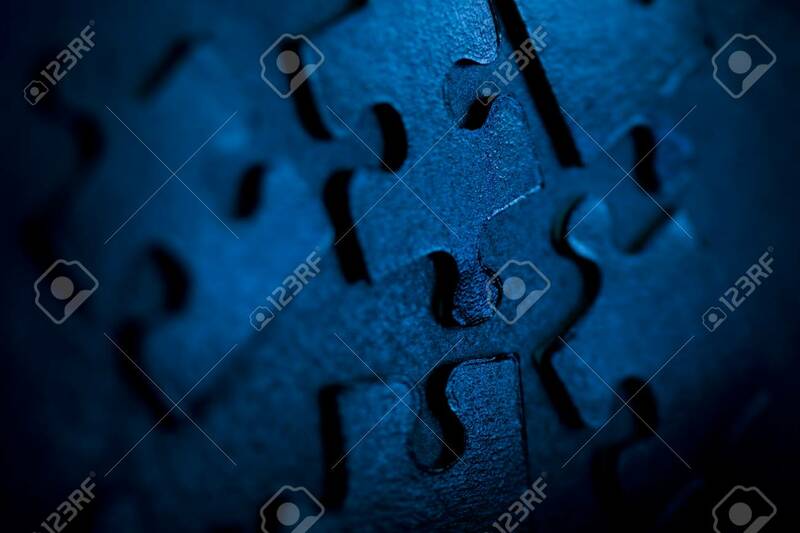 Neon Blue Jigsaw Parts On Dark Background. Puzzle Concept Stock Photo, Picture And Royalty Free Image. Image 4419399.